CONCORD, N.H. (AP) — A black former police chief backed by the Trump administration won the Republican nomination Tuesday in New Hampshire's toss-up congressional district, while Democrats picked experienced, establishment-backed nominees for both that seat and for governor. 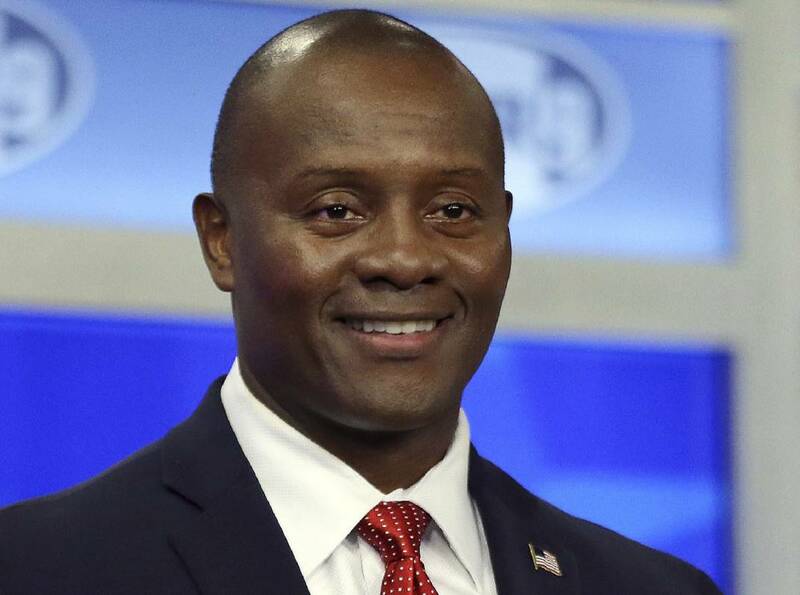 Eddie Edwards, who was endorsed by Trump attorney Rudy Giuliani, defeated six Republican opponents in the 1st Congressional District, which covers the eastern half of the state. A Navy veteran who also served as enforcement chief for the state liquor commission, Edwards is the second African-American to be nominated to a U.S. House seat in New Hampshire. Shea-Porter's decision to step down after four nonconsecutive terms resulted in a swarm of candidates seeking to replace her, including Levi Sanders, son of Vermont senator and former presidential hopeful Bernie Sanders. He came up far short Tuesday in an 11-way race won by restaurateur Chris Pappas, who would be New Hampshire's first openly gay member of Congress. Former Obama administration official Maura Sullivan raised more money than the other 10 candidates combined, but she faced criticism for being both new to the state and voting in general, having just moved to New Hampshire last year and acknowledging she failed to vote in several recent elections. Kelly said strong Democratic turnout should send a message to Sununu that voters want someone who will put the people first, not corporate special interests. A five-term senator from Harrisville, she frequently emphasized her experience as a single mother who raised three children while putting herself through college. Seven Republicans were competing for a chance to face Democratic U.S. Rep. Annie Kuster in the 2nd Congressional District. She, too, faced no opposition in the primary. Accustomed to going first in the presidential primary, New Hampshire voters were among the nation's last to nominate candidates for November, providing one of the final measures of the country's mood before November's midterm election.